Nearly 200 businesses and leaders of 12 provinces and cities in the southern region yesterday directly talked to 65 Vietnamese trade counsellors in other countries at a conference on ways to boost export and reach the growth rate of over 20 percent in 2018. At the conference, representatives from Can Tho city, Ca Mau, Long An and Dong Thap provinces said that their export turnover grew 10-20 percent in 2017. Commodities posting the highest growth rates include garment and textile, leather and footwear, farm product, food and seafood. Vietnamese farm produce have been exported the US market such as dragon fruit and star apple. Seedless lemon has entered European, American, Australian, Japanese and South Korean markets. Mr. Ta Hoang Linh, head of European and American Market Department, said that 2017 was the first year when export turnover exceeded $200 billion to reach $213.8 billion, up 21.1 percent over 2016. Twenty five groups of commodities got the export turnover of over $1 billion and four markets obtained over $10 billion. 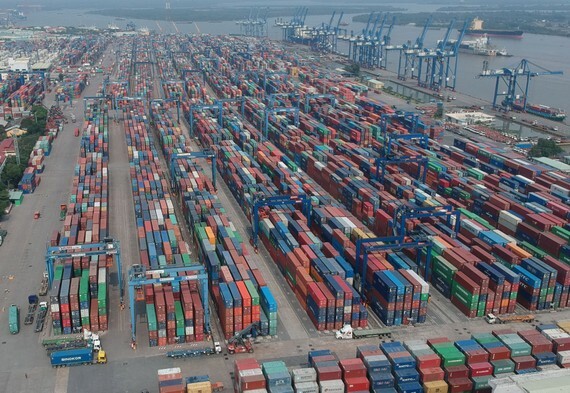 Export turnover to markets which Vietnam has signed free trade agreements (FTAs) posted high growth rate, for instance, South Korea increased 31.1 percent, Chile 26.3 percent, Russia 35.7 percent, Japan 14.2 percent. Notably export to China grew up to 60.6 percent in 2017 after raising 28.4 percent in the previous year. Export to ASEAN markets showed positive sign with the growth rate of 24.3 percent after sliding 4.7 percent in 2016. Vietnamese trade counselors abroad have much contributed to the above success through market consultancy activities, market tendency forecast and domestic and foreign business connectivity. At the conference, trade counselors noted that Vietnam should invest in improving product quality and environmentally friendly products. 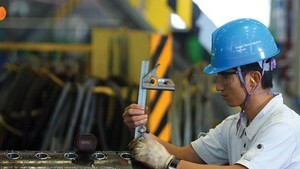 Businesses hoped that trade counselors should renew their operations. For instance, they should soon forecast changes in goods import regulations in countries besides predicting requirement tendency of each market. They also proposed trade counselors to supply relevant information about prestigious fairs for them to attend and advertise their products because it has been difficult for them to determine which fairs they should participate in. Mr. Truong Quang Hoai Nam, deputy chairman of Can Tho city People’s Committee, said that if US food safety policy change to import commodities were early announced, there would have been no import halt to over 800 businesses. Mr. Lam Van Bi, deputy chairman of Ca Mau province People’s Committee said that domestic export firms usually experienced risks because they had no conditions to determine the ability of their import partners. Hence they do need the assistance from trade counselors. At present, there is one trade counselor in a country and this person is changed every 2-3 years so assistance information has not been functional. Deputy director of HCMC Department of Industry and Trade Nguyen Ngoc Hoa proposed trade counselors to pay attention to calling on investment from developed nations to improve infrastructure including drainage, waste treatment and logistics systems in HCMC besides connectivity and business assistance activities. Recording opinions from businesses and provincial leaders, Mr. Ta Hoang Linh admitted that information supply by trade counselors in some markets has been unspecific, trade connectivity quality has not been good as it has just stopped at supplying addresses. Product supply by Vietnamese firms has not been appropriate and that has affected overseas market study efficiency. Hence the European and American Market Department will learn from experience and better build operation orientation in the next two years. Deputy Minister of Industry and Trade Tran Quoc Khanh required trade counselors in countries to intensify coordination with localities, industries and associations in information exchange. Localities and associations should enhance their role of bridging businesses and foreign markets and update information about policies including those in trade defense and market barriers for domestic firms in a timely manner.